2018 Recipients Jerry & Mary Grace Lanese (with Kathleen Boswell). The Scott Joplin Ragtime Foundation Board is now accepting nominations for its Outstanding Achievement Award in Ragtime. 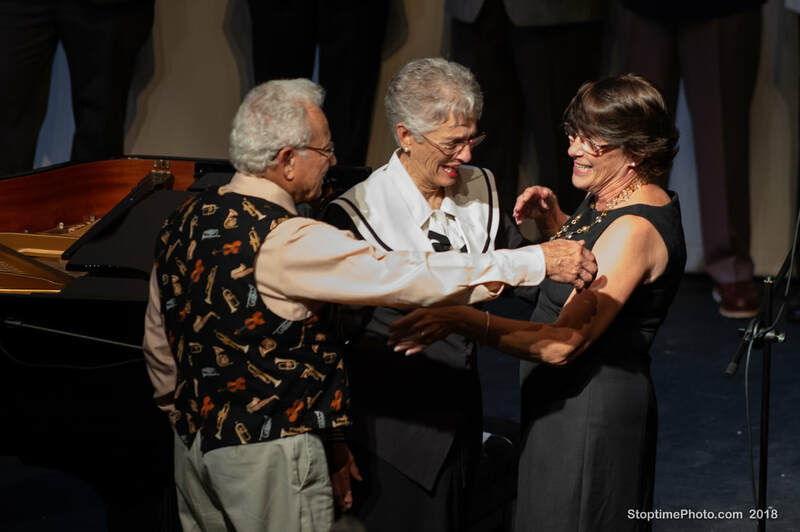 The award is presented to the person(s) or organization that has made exceptional contributions to performance, research, support, education, or advancement of the ragtime genre. Nominee submissions should include letters of recommendation, a list of accomplishments, and contact information for the nominee. We will also need the contact information for the person submitting the nomination. Submissions should be sent to the Scott Joplin Ragtime Foundation at PO Box 1244, Sedalia MO 65302 or via email to SJFsedalia@gmail.com . The deadline for 2019 submissions is March 1, 2019. The recipient of the award will be announced at the evening concert on June 1, 2019.